If you follow 3digitalcooks, I hope you were aware that during the last edition of the Fabcon3D in Germany we did an awesome week of workshops. Three of them. This video explain the first 2 days after I land in Frankfurt and met Jason. More videos from our awesome trip in Germany. Always in a good mood this time we jump to try a new type of recipe. 3d printed meringue! How cool that sounds?? test it during the event turns into a super crunchy experience. Aram Avila, Jason Mosbrucker and Luis Rodriguez give you their honest, or at least tired opinion about them. Better take their work or try to taste by yourself during our next workshop! 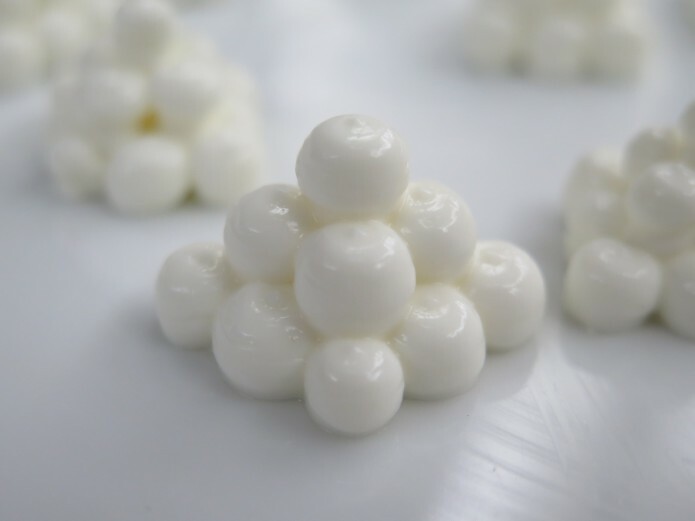 You might have read the recipe for our yogurt bites at Instructables. But this time we bring you the video. Yogurt bites is a recipe made around two main ingredients: Greek Yogurt and cucumber. Classic, Spicy and sweet. A recipe that was creating during my time at Pier 9, after a legendary talk/inspiration-time with Sherry Wong (You rock). The balance between the honey and the acidity of the lemon works nicely. The sesame seeds bring a little bit more of texture along the cucumber. Slice the cucumber. Place some bacon bits in the center. 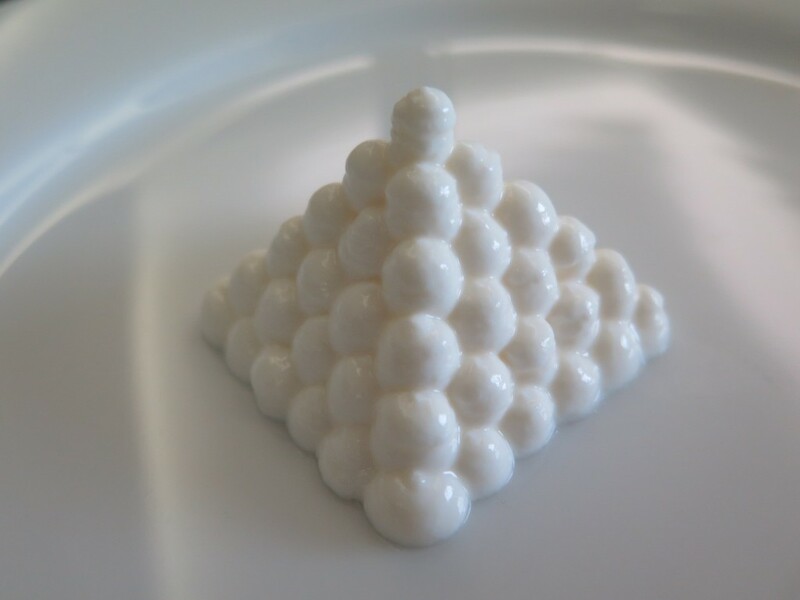 Print the yogurt pyramid. Using a pipette forced the Tabasco to flow along the pyramid “trenches”. Sprinkle some dill on top. DONE. This is probably the unexpected one. I like it a lot. Probably my favorite. I hope next time I get to try with crispy bacon bits. PI-CAN-TE!!! The third and last one is the sweet one. Slice the cucumber. Spread a layer of blackberry jam on top. Place 4 pointy mint leaves on top. The jam will act as a glue, to held the leaves in place. Be creative!!! print the yogurt on top. Place some walnuts around the pyramid. DONE. This is a sweet bite, well balanced (thanks too the Flavor bible). I think it would be perfect to finish this recipe with some edible gold on top, make it shine! During the last 6 months we have been lucky enough to count on David Vilella Riera to explore and push forward our vision for 3DFP design apps. With his contribution we have started walking through the generative design path for 3DFP. His work was focused on designing an interface that was intuitive and easy to use. Moreover capable of creating customized designs based on a simple date. All it takes to use it is to have a special date in mind, it then immediately creates a unique design for your special date. The design is unique for the date, this creates a intimate link between the designer (commensal) and the dish. A completely new personal dialogue with the dish we are about to eat. Firstly i want to express my gratitude to Luis Rodríguez Alcalde and Jason Mosbrucker for introduce me the 3D food printing and to teach me the basic concepts in order to reach on my second App called “3D FOOD for special dates”. Also i want to remark how they had managed my learning process with very clear and simple examples. Moreover they left me the liberty to contribute with my own ideas to design and to build this App. 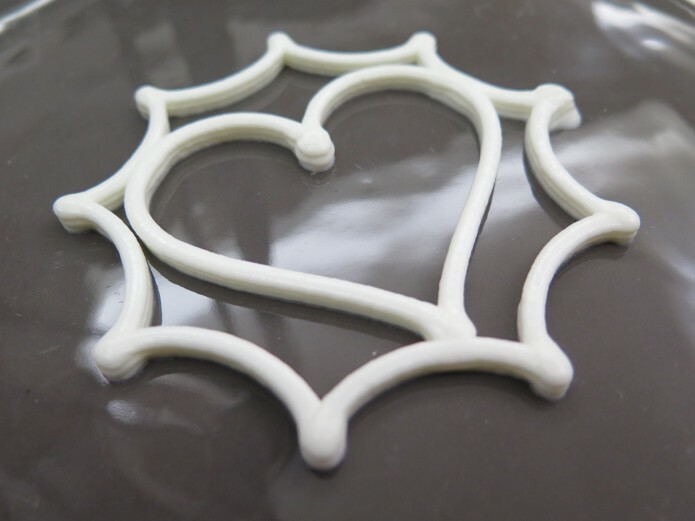 Since this, let me introduce the main reason for 3DFOODforspecialdates: Everyone remembers the date of something special: birthday, anniversary, the day you met that someone special, the first kiss… people want to celebrate them with special details. Finally i want to say that i admire their enterprising initiative, and i wish them good luck on their lots of projects. All my work and learning process in 3digitalcooks is shared in my github repository and in a google drive file. Feel free to explore and experiment with the app here: 3D Food for Special dated App. You can see Pinya 3 in action printing one of his generative designs! David thank you very very much for all the effort and endless nights working with us. Getting to understand the amazing world of 3DFP! 3DC will be always your home we wish you the greatest best with your new adventures!!! 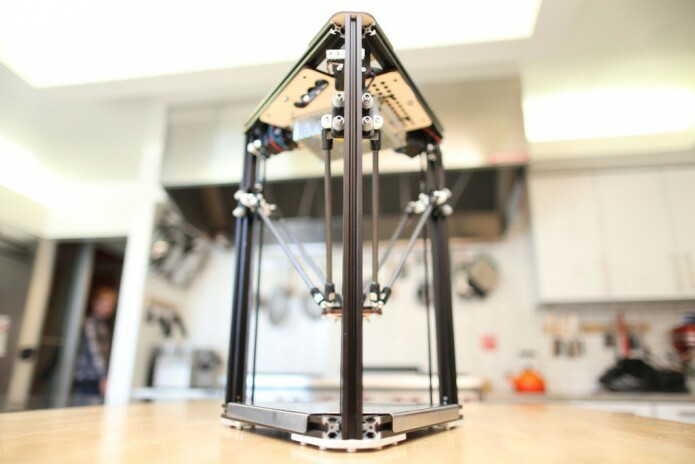 Most 3d printers use the same approach to print food, building layer after layer. Does that make sense? Probably most of the time, but definitely is not the only approach. An this is how Yogurt Up was born. Actually not. Yogurt up was born by looking at a food without caring about how to 3d print it. Everything started during my last visit to Korea, I was having dinner and my mother in law hand me a greek yogurt. Is funny how things that are so obvious some times are overlooked. After the first two spoons I realized that the texture of it was good to 3d print. And start playing with it. A week later when I was back to San Francisco and I bought 5 different types of yogurt and start experimenting with it. Not all of them have the same consistency, obviously but I finally settle for Fage greek yogurt (we are not sponsored by them but would be cool 😉 ). The first test printing yogurt was free hand, without the printer just the extruder. That helped to try different deposition techniques. That was the instant when the non continuous dot technique started to take form. The idea is to extrude big dots as building blocks elements. By hand was easy to try but in order to test prints with the printer (DUH), a basic tool was mandatory to explore the parameters needed to control the technique. This was the moment the the Yogurt Up design tool was born. This is a test design tool that created dotted pyramids. The following video is a great visual aid to understand what the app does. You are going to need a 3d printer with paste extruder. I am using Pinya3. Height where the initial layer of dots will be be printed. The distance between the bases of the previous layer of dots and the current one. Printer head movement feedrate without printing. Distance to retract the printer in the Z axis between travel from dot to dot. Initial reservoir build up pressure to start printing with a paste extruder. Release reservoir pressure to avoid oozing material. This is the amount of rows and columns that the base pyramid layer will have. In previous video it was 3. Distance between the center of each adjacent dot. Distance between the dots layer base height and the starting dot printing height. Final dot printing height refered to the current layer of dots. Printing dot feedrate. Affects both the extrusion and Z axis. Distance to be extruded per dot. Extruder retraction after each printed dot to avoid oozing/dripping material. This is a test application, by no means I guarantee will work with your printer, therefore use it AS IS. The output GCode start at the position x=0 and y=0. 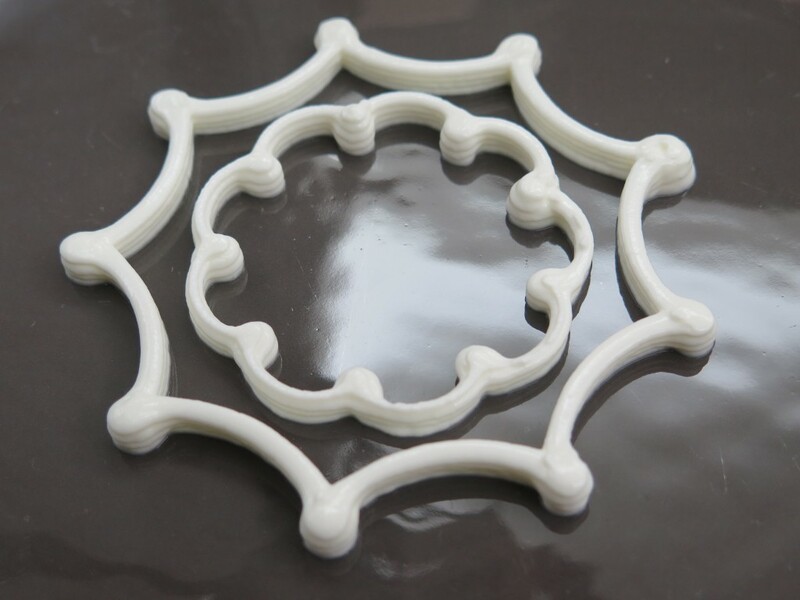 We have tried, several different material; yogurt, chocolate mousse, hummus,… So extruding feedrate will totally depend on the material and the extruder that you are using. Actually fast prints will depend on that. Obviously this app is open source, here is the repository just in case you want to experiment and learn from it. Yeay! Its been a fun ride at Pier 9. Building our new printer and learning loooooooots of stuff along the way. If you want to learn more about the process check the instructable here. Cartridge Extruder link at Instructables.